This mystical blank book has a hand tooled and finished Ox Blood leather cover with and Celtic knot & Pentagram design. The book has over 100 pages of beautiful handmade paper of recycled biomass and is ideal for pencil, ink, water coloured paints or inks. It features a magical metal locking clasp in brass plated pewter. 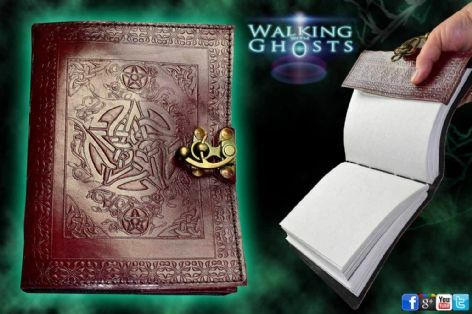 Ideal for witches spell book, journal, book of shadows, or sketchbook,/Scrapbook. 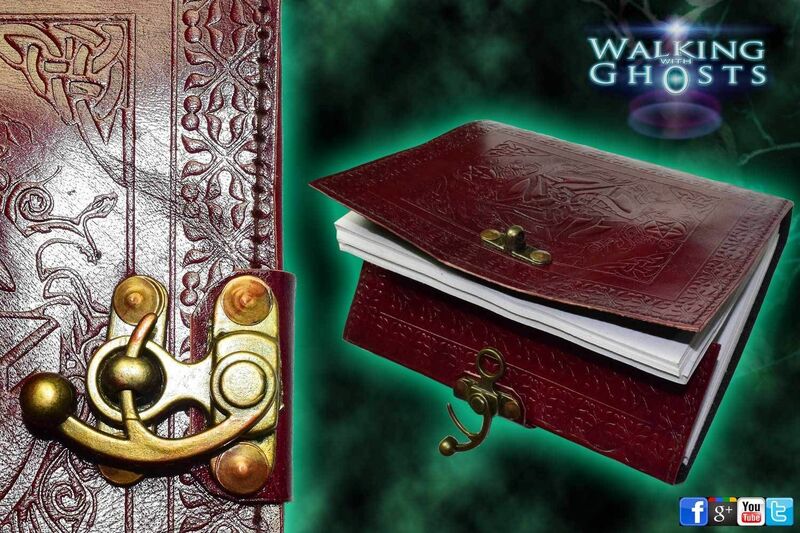 Cover has an attached brass plated pewter latch to hold the book closed when not in use. This book is designed to look old and slightly distressed but as it is made from real leather and natural products will continue to look more aged and interesting the more it is open and used. So use it love it and let it grow with your own ideas, spells and intentions, make it magical. The exact embossing detail will vary as these are hand crafted so no two will be identical. 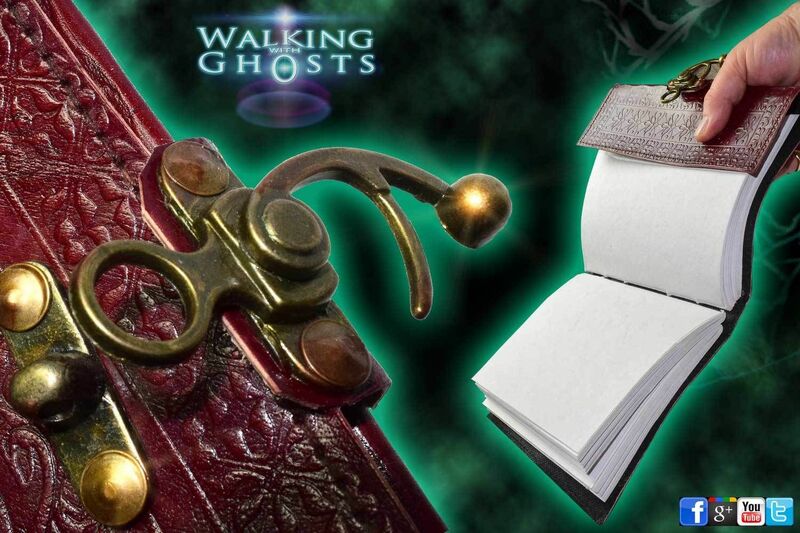 A Book of Shadows (or grimoire) is a blank book in which to keep your notes, spells and ideas on magickal practices. Your own private space to cherish and pour your thoughts and intentions into.